Greetings children! Hope you are doing well. 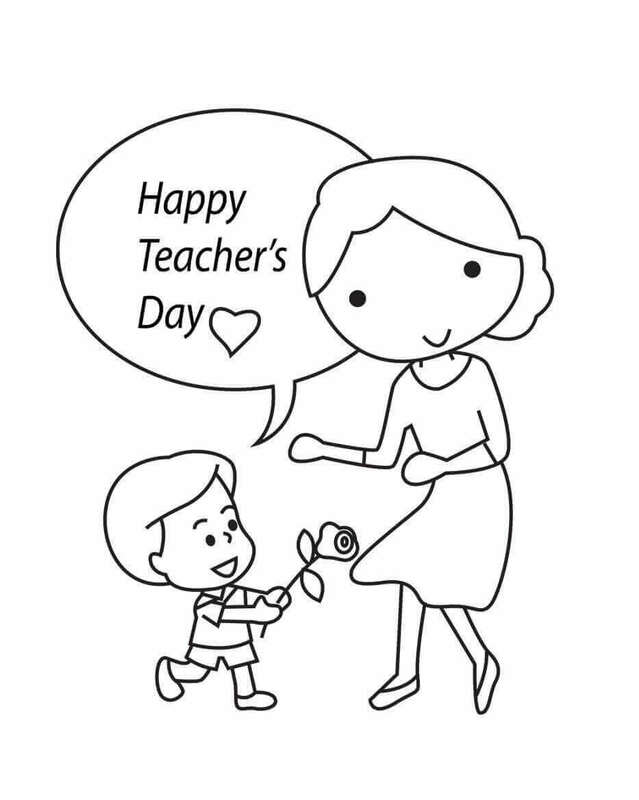 Today we are paying tribute to one of the most important people in our lives with a collection of free printable Teacher’s Day coloring pages. Several countries around the world celebrate a day to show their gratitude for the immense work the teachers do in our society. World Teacher’s Day is observed on 5 October by many countries after the United Nations Educational, Scientific and Cultural Organization (UNESCO) established it in 1994. 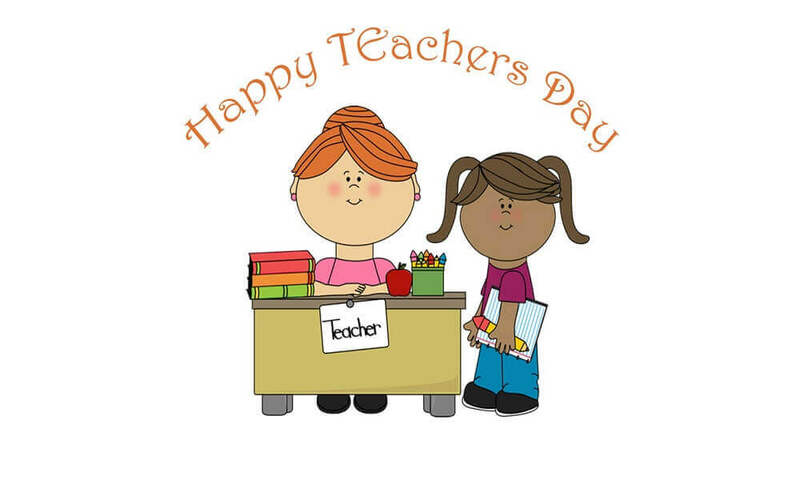 However, different countries celebrate Teacher’s Day on different dates, following their own unique traditions or honoring those who played a significant role in teaching in their respective countries. Let’s learn to appreciate our teachers’ incredible work through this collection of Teacher’s Day coloring sheets to print. 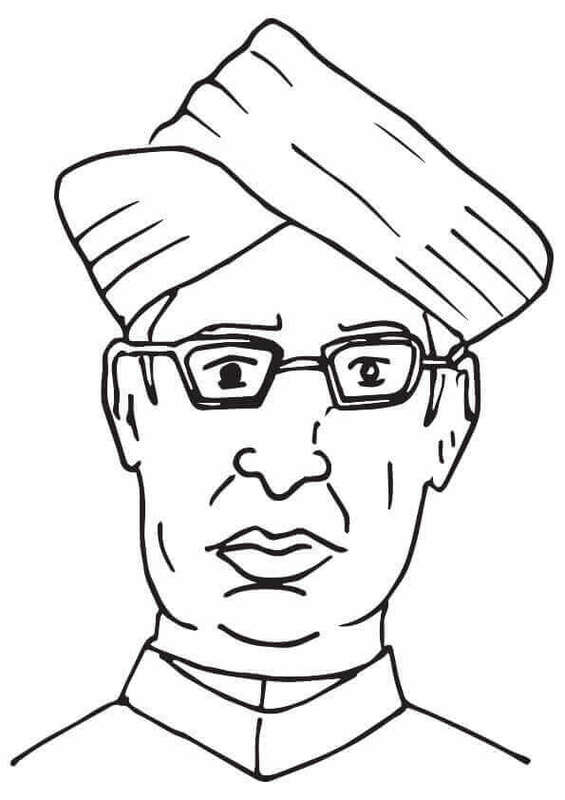 Teacher’s Day in India falls on 5 September, the birth anniversary of Dr. Sarvepalli Radhakrishnan, renowned scholar and India’s second president. It has been observed in schools since 1962 with several activities, like senior students acting as teachers for the day. Wouldn’t it be fun to play “teacher” to your teachers? You can think about what you would teach, as you print and color this memorable figure in Indian history. 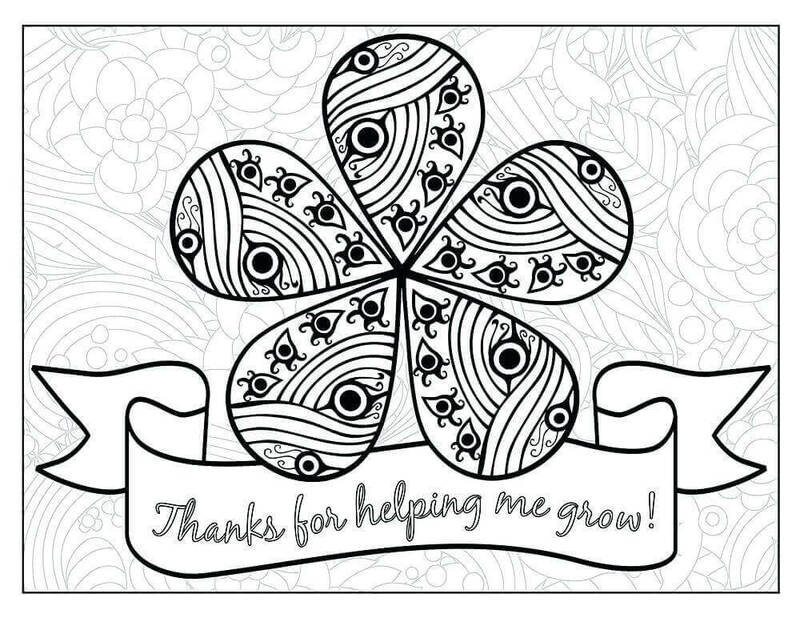 You can print and color this special card with a floral design and give it to your favorite school teacher, the one you helped you to learn and grow better. Wishing his teacher, a very happy Teacher’s Day, this cute little boy has given her a flower as a symbol of his gratitude. 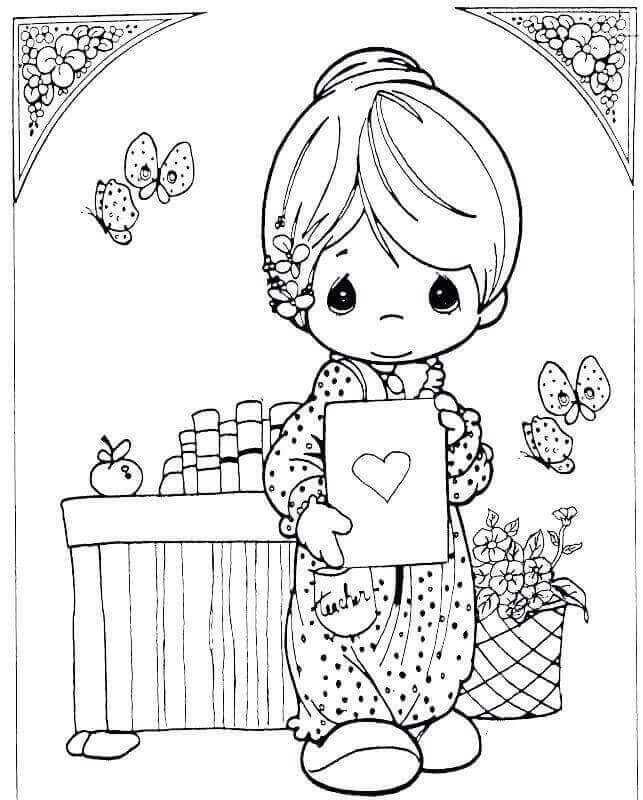 Print this page and color this adorable illustration. Some of you must have attended Sunday school, where you learn about your religion and its significance. 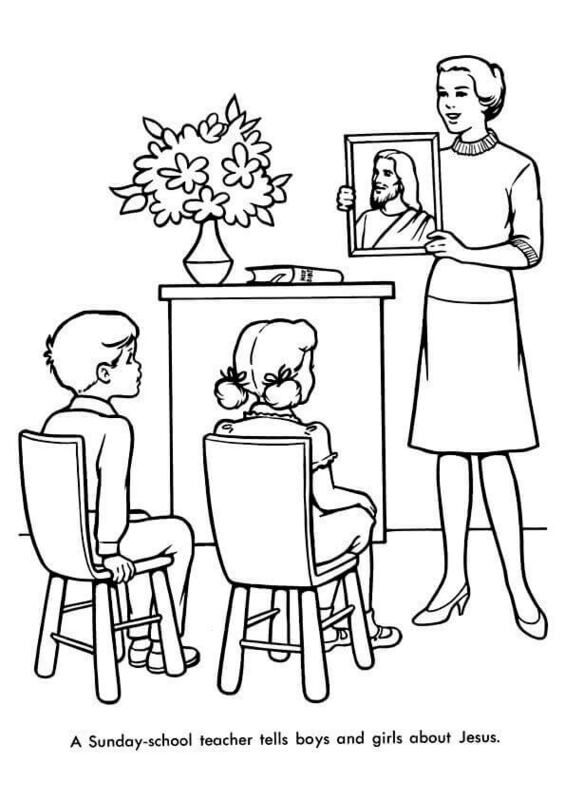 This classroom is learning about Jesus today, as the teacher holds his photograph. 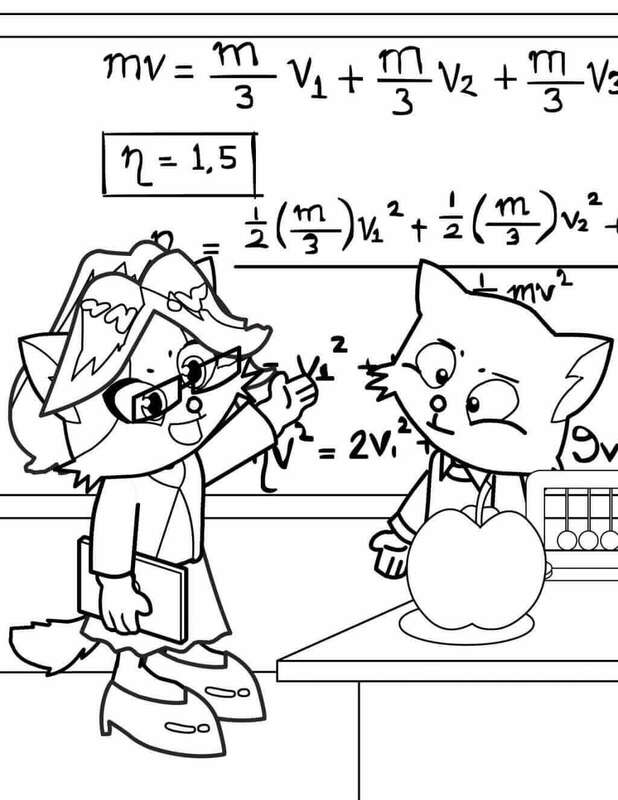 Here’s a special coloring page that you can turn into a poster. You can fill in the apt colors for the globe and color the rest as you wish. Once done, this can be used as decorations for Teacher’s Day celebration in your school. In order to learn you have to start from the very beginning. 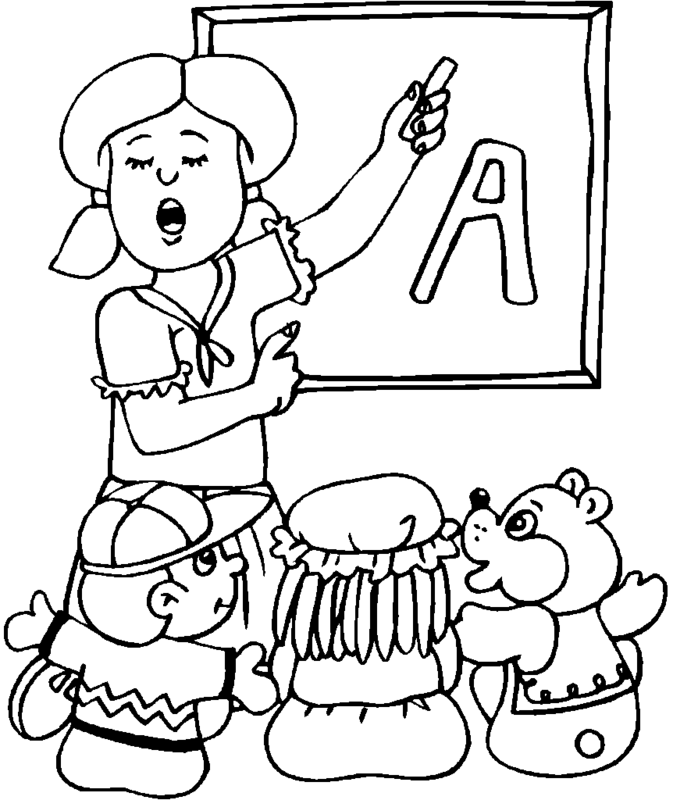 This Kindergarten class is learning the first letter “A” of the alphabet, today. If numbers are something you like, then you will certainly enjoy this math class in this illustration. 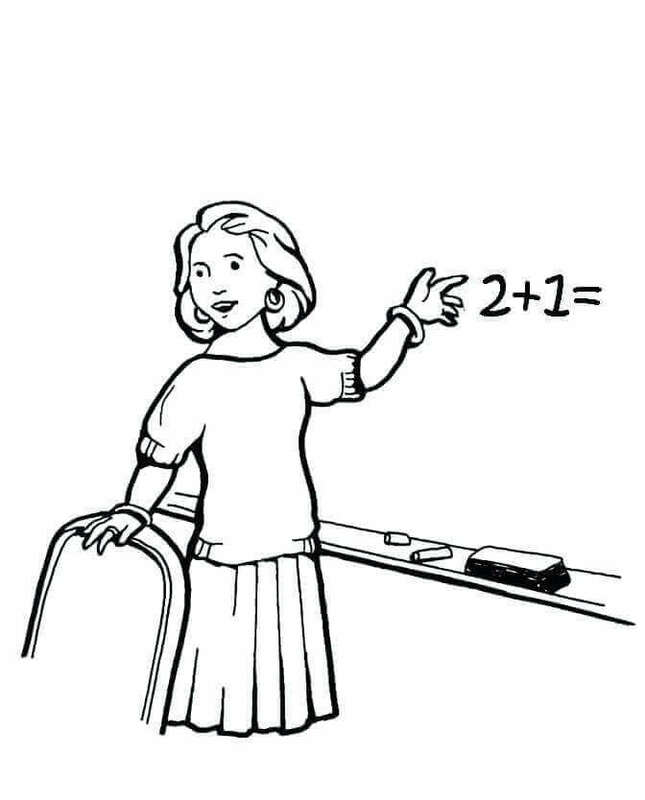 Can you figure out the answer to the addition problem here? 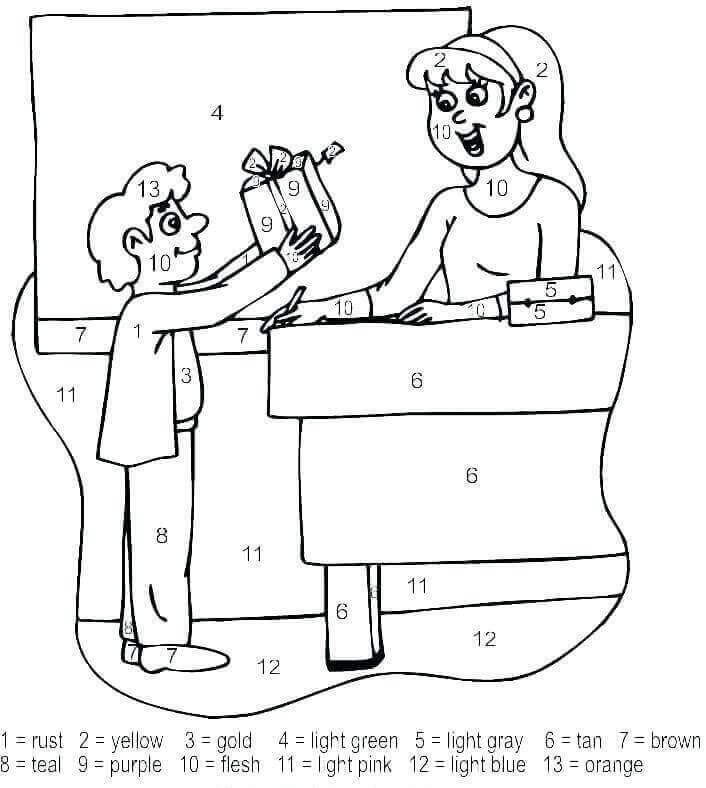 You can print and color this page, then write the answer. A note of thanks to show just how special they are, can mean a lot to your teachers. 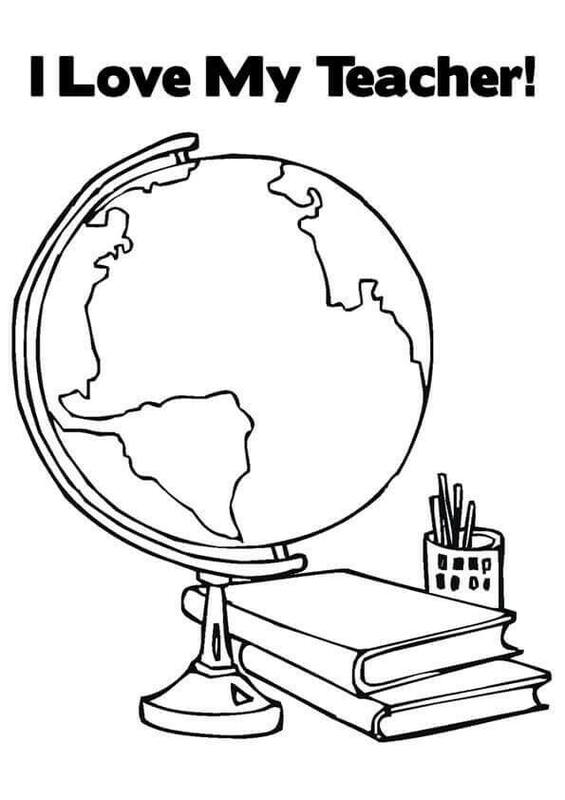 You can print and color this page, write down the name of your teacher and give it to them. Learning is not just about theories; the practical lessons is a crucial part of learning too. When it comes to singing, without practicing it, you can never learn to do it. 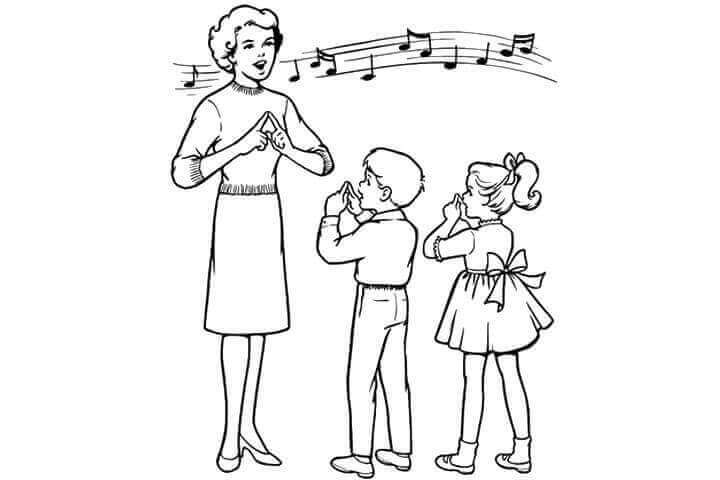 Singing is going on in full session in this classroom. After teaching the individual letters of the English alphabet, one by one, the teacher here writes all the 26 letters together. To make it easy to learn, she reads them like she is singing a song. Teaching her new class, the proper pronunciations, and correct enunciations, this teacher is giving them a reading lesson. Knowing the proper way to read and communicate, helps in understanding everything better. You must have a few strict teachers in your school like this science teacher here. He has asked the class to be quiet, as he teaches them about measurements and conversions. After teaching the entire class together, sometimes teachers, pay close attention to those students who find some things harder to understand. Like this young student who found it difficult to learn the calculation today. 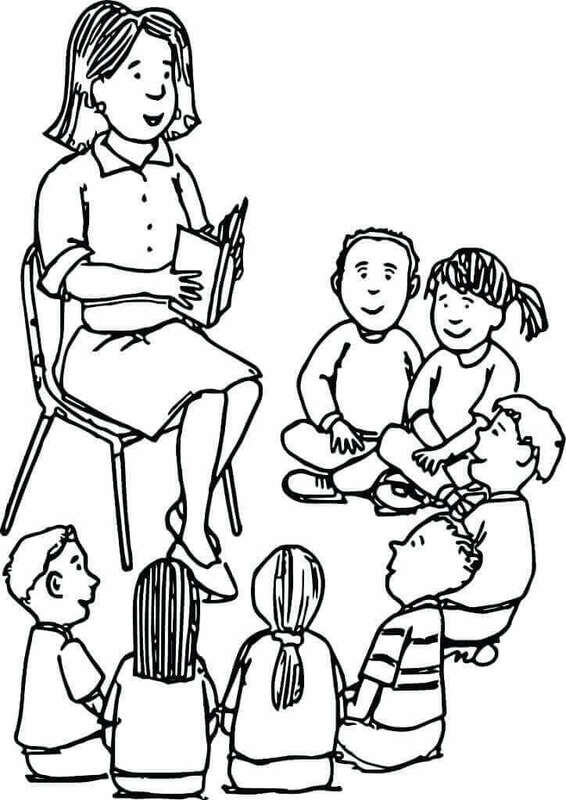 Reading a hilarious and comical story to her students, her classroom erupts in joyful laughter. Students are particularly enjoying how the teacher is reading the book in character voices, as they laugh while learning. The students in this class have written a lovely message for their teacher on the blackboard, “I Love My Teacher”. You can do the same on Teacher’s Day, using different colored chalks. This illustration shows a student giving his teacher a gift of appreciation. You can print this page and fill in the right colors as indicated by the numbers given in the instruction. If there is a teacher who has helped you learn important lessons in life, you can give them this card, showing them your appreciation. Write the favorite thing about their class and don’t forget to add your name or signature. Gathered around their teacher in a semi-circle the students here are paying close attention to the story. The teacher is reading them an endearing story about a dog. 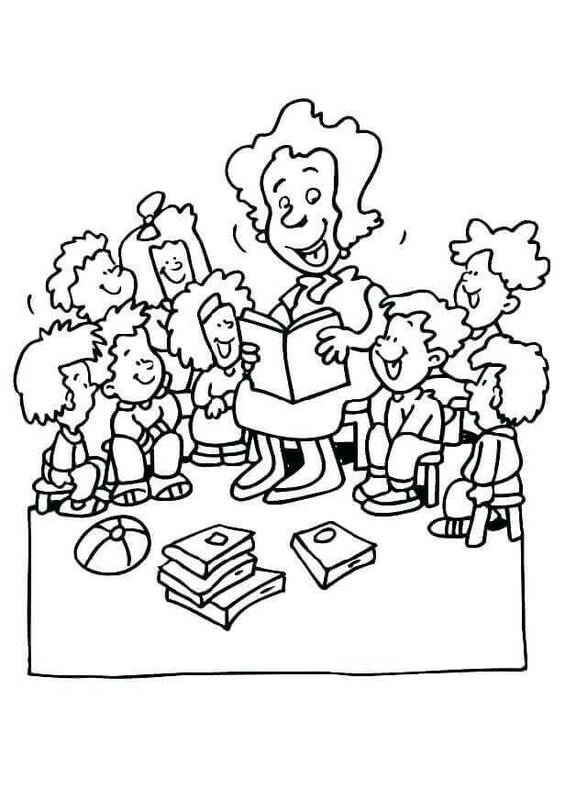 You can print this lovely illustration and turn it into a special Teacher’s Day card. 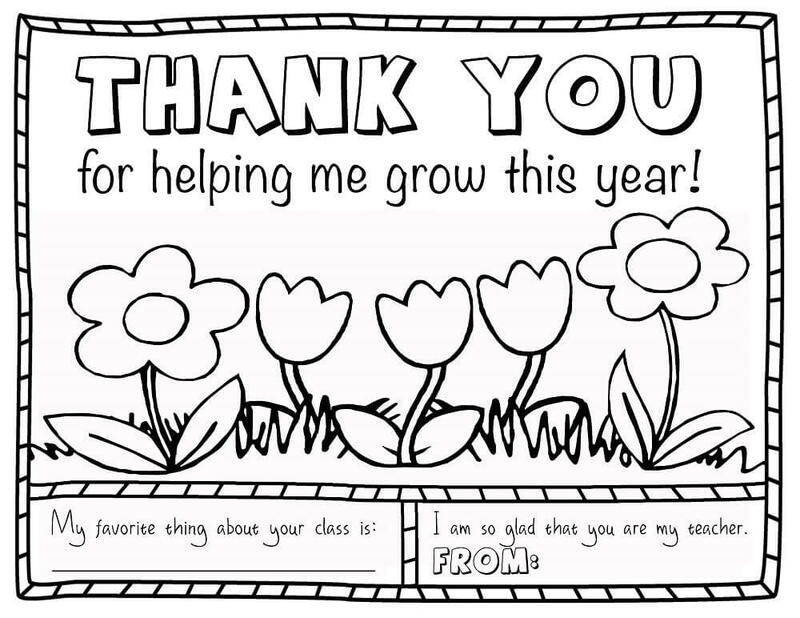 Make sure to leave some heartwarming messages of gratitude for your teacher on the card. 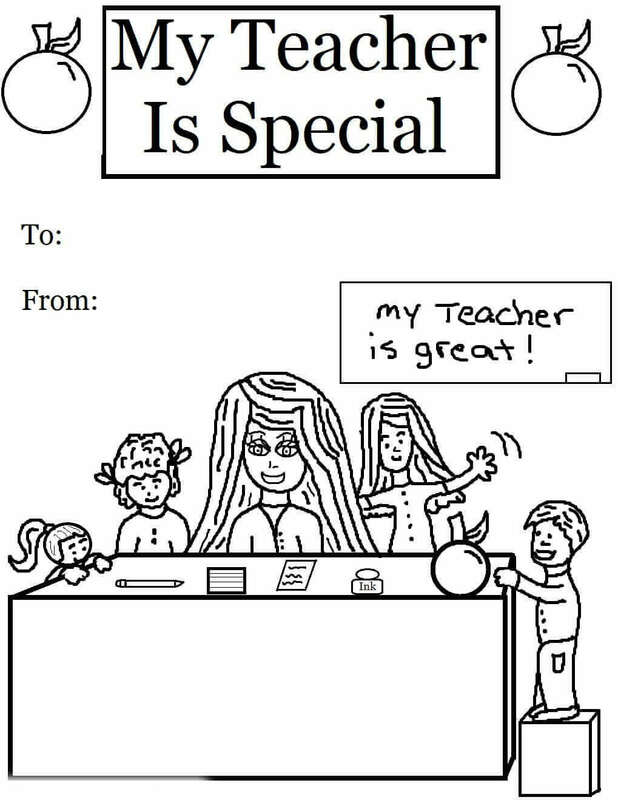 With this coloring page, you and your parents can tell your teacher how much they are appreciated. 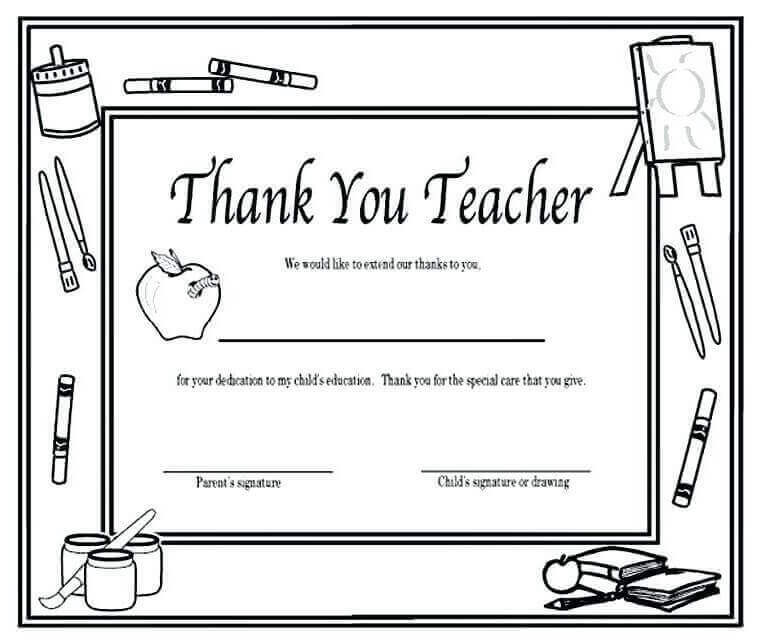 This “Thank You Teacher” card has space for you and your parents to sign as well. 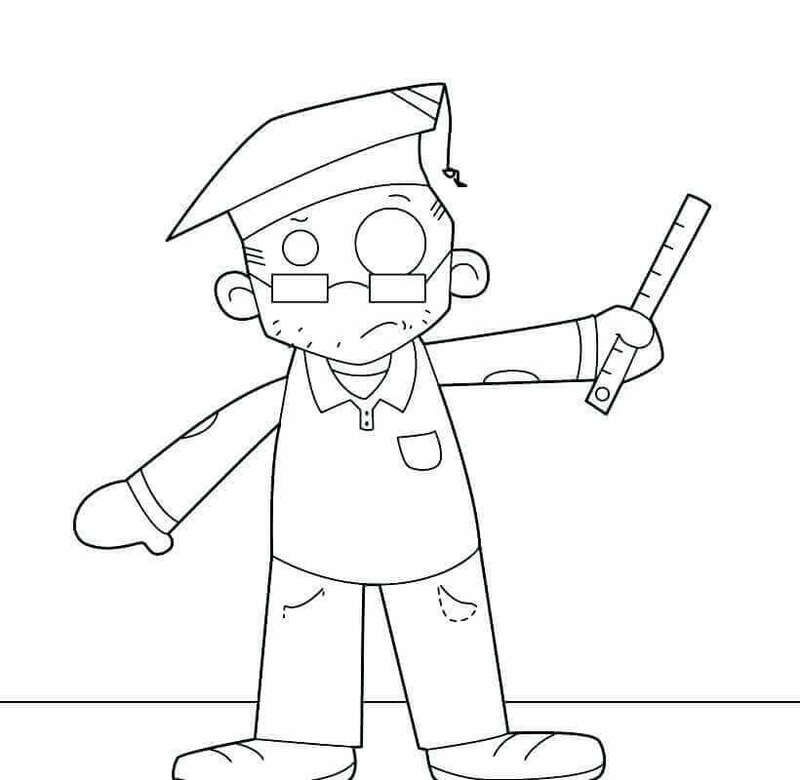 With that, we have come to the end of today’s collection of Teacher’s Day coloring pages printable. Always make sure to show your appreciation to your teachers. After all, teachers work tirelessly to make learning better so that you can grow into a better individual.